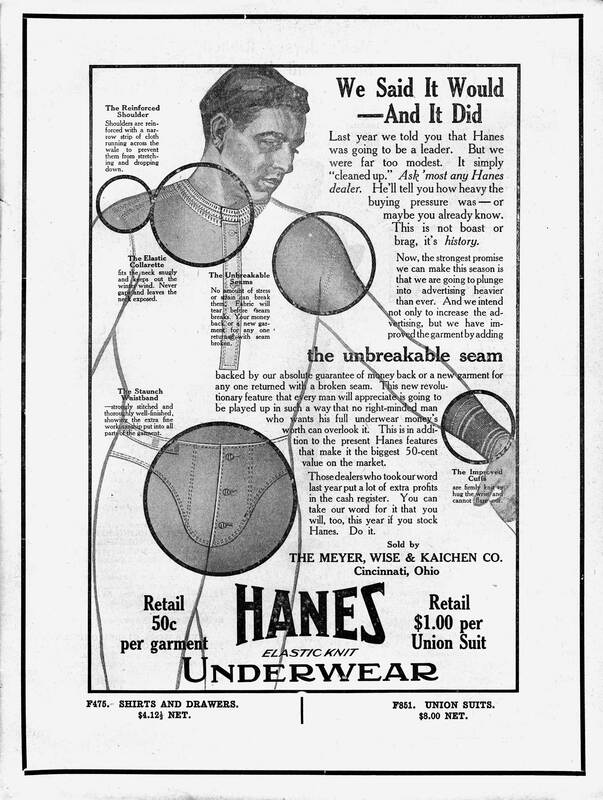 No wonder Gentlemen Prefer Hanes, even back in the earliest decades of the 20th century. This was one snappy sales page in a 1913 wholesale catalog full of underwear. 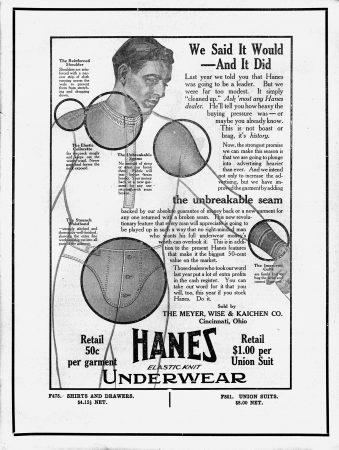 Hanes (founded in 1901) spent equal amounts of copy on their promotional activities and the product itself, complete with its “elastic collarette” and “staunch waistband.” Staunch for paunch, evidently. Worth clicking to read the copywriter's take on all this, snaking around the impactful layout. 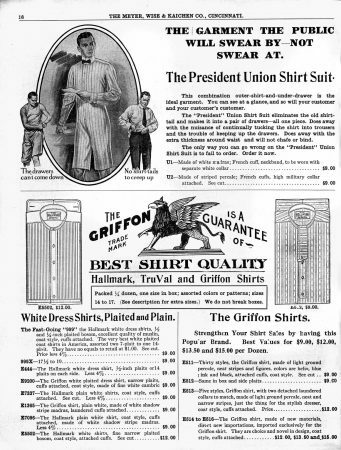 Meanwhile, other advertisers were trying gimmicky innovations like the President Union Shirt Suit which combined a dress shirt and boxer shorts into a single garment that, judging from the picture, you could practically wear around the office by itself – yeah, right. Hanes simply promised more profits. Garment wholesalers Meyer, Wise & Kaichen were formed in 1895 in Cincinnati Ohio and existed through at least the end of Word War One.